A Summer Treat Just for You! Summer time is upon us. School’s out, time to kick back and enjoy some outdoor time with family and friends. You still need your “me” time through it all and we think sending you off to the spa (on us) is a superb idea. 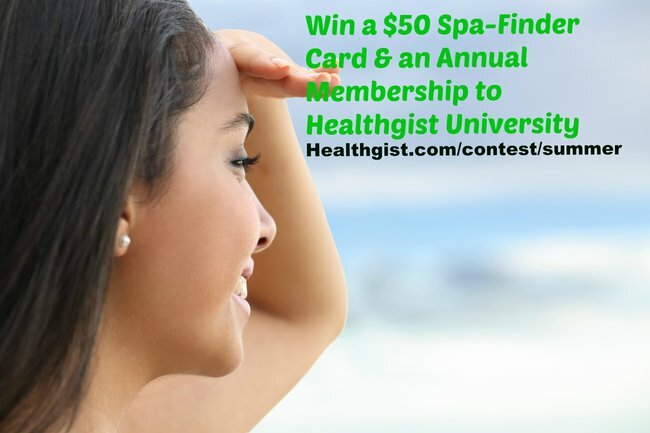 How about a $50 Spa-finder gift card and an annual enrollment to Healthgist University? *Healthgist University has our best stuff on women’s health and well-being. You gain unprecedented access to our regularly updated library of women’s health articles, audio and video recordings. You also get to use us; the physicians-in-residence at Healthgist as your sounding board for the health and medical questions you have. Win a $50 Spa-Finder Card & an Annual Enrollemtn to Healthgist University. 1. Enter the Summer Treat Contest with your name and email. Your entry earns you 1 point and a FREE 30-day access to Healthgist University. 2. Share the Summer Treat Contest. Share options will show up after you enter the contest. *You earn 10 points for everyone that enters the contest from your link or share. They will also get a FREE 30-day access to Healthgist U. 3. The winner will be selected on July 1st, 2015. The gal with the most points wins a $50 Spa-finder gift card and an annual Healthgist U enrollment. *The first runner up gets an annual Healthgist U enrollment. Everyone gets the Summer Treat contest gets a “consolation prize” of a 30-day Healthgist U enrollment. 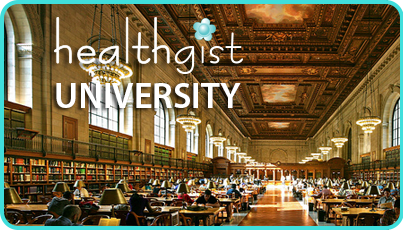 Win a $50 Spa-Finder Card & an Annual Enrollment to Healthgist University. What’s Lurking in Your Kid’s Hair? What Does “Virgin” Mean These Days?